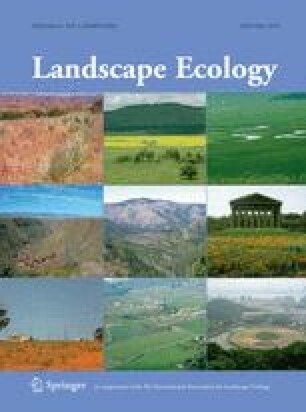 Modern landscape ecology is based on the patch mosaic paradigm, in which landscapes are conceptualized and analyzed as mosaics of discrete patches. While this model has been widely successful, there are many situations where it is more meaningful to model landscape structure based on continuous rather than discrete spatial heterogeneity. The growing field of surface metrology offers a variety of surface metrics for quantifying landscape gradients, yet these metrics are largely unknown and/or unused by landscape ecologists. In this paper, we describe a suite of surface metrics with potential for landscape ecological application. We assessed the redundancy among metrics and sought to find groups of similarly behaved metrics by examining metric performance across 264 sample landscapes in western Turkey. For comparative purposes and to evaluate the robustness of the observed patterns, we examined 16 different patch mosaic models and 18 different landscape gradient models of landscape structure. Surface metrics were highly redundant, but less so than patch metrics, and consistently aggregated into four cohesive clusters of similarly behaved metrics representing surface roughness, shape of the surface height distribution, and angular and radial surface texture. While the surface roughness metrics have strong analogs among the patch metrics, the other surface components are largely unique to landscape gradients. We contend that the surface properties we identified are nearly universal and have potential to offer new insights into landscape pattern–process relationships. The online version of this article (doi: 10.1007/s10980-009-9327-y) contains supplementary material, which is available to authorized users. We thank Brad Compton and Brad Timm for comments on a draft of this manuscript. This material is based on work partially supported by the Cooperative State Research, Extension, Education Service, US Department of Agriculture, Massachusetts Agricultural Experiment Station and the Department of Natural Resources Conservation, under Project No. 3321, and The Scientific and Technological Research Council of Turkey, under project International Postdoctoral Research Scholarship Programme-2219.